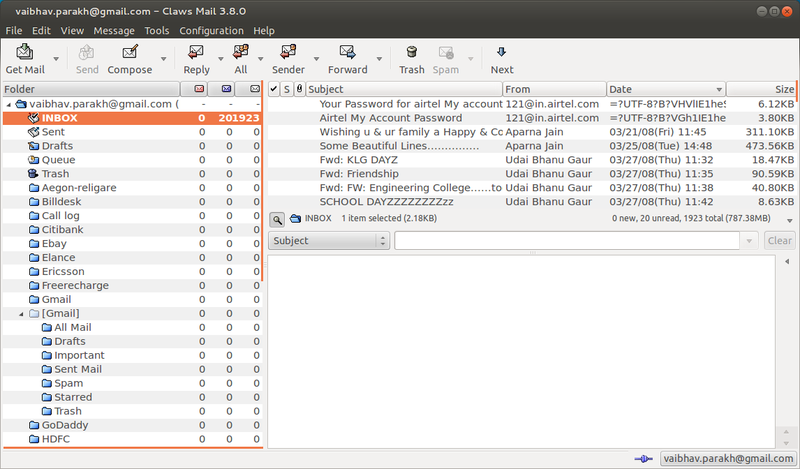 An email client, also known as Mail User Agent (MUA) is an application used to manage the emails. Linux has a lot of email clients, terminal and GUI based. 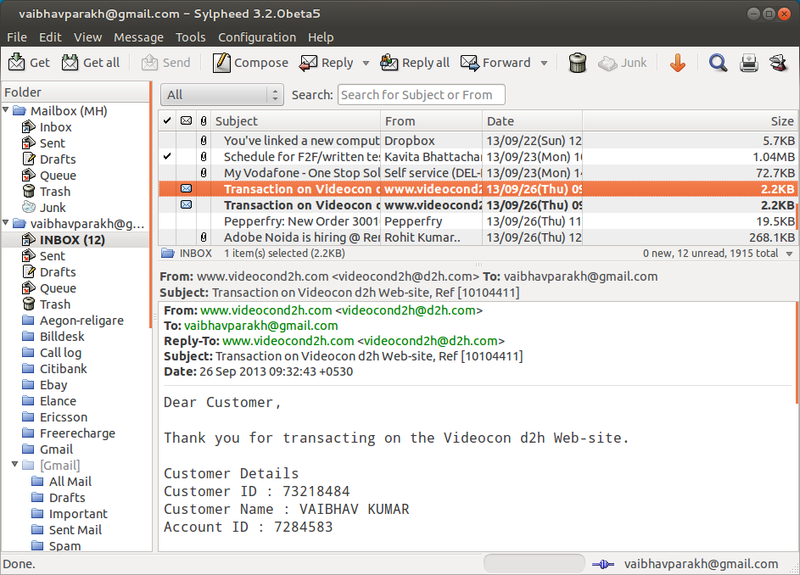 I have collected the top 5 GUI based email clients and compared them in various aspects. Standard formats normally used by most of the mailboxes are maildir and mbox. Outlook and Windows Live Mail are 2 of the most awesome mail clients for windows platform. 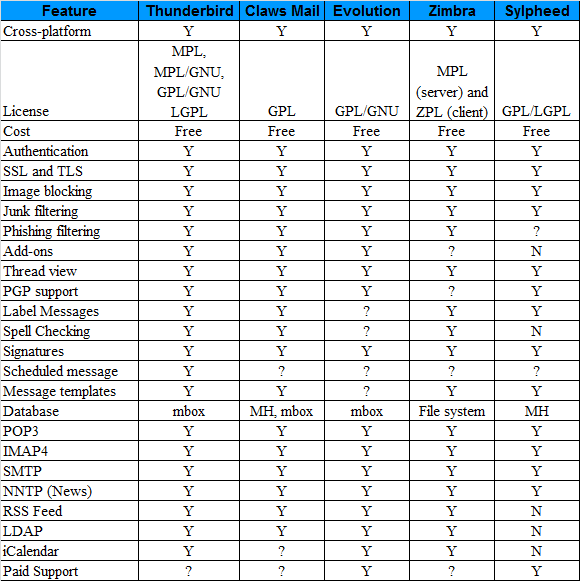 However, newly evolved open source mail clients like thunderbird are found to work quite well with these mail clients across the platform. Following are the top email clients that work perfectly across the platform and support numerous plugins/addons. 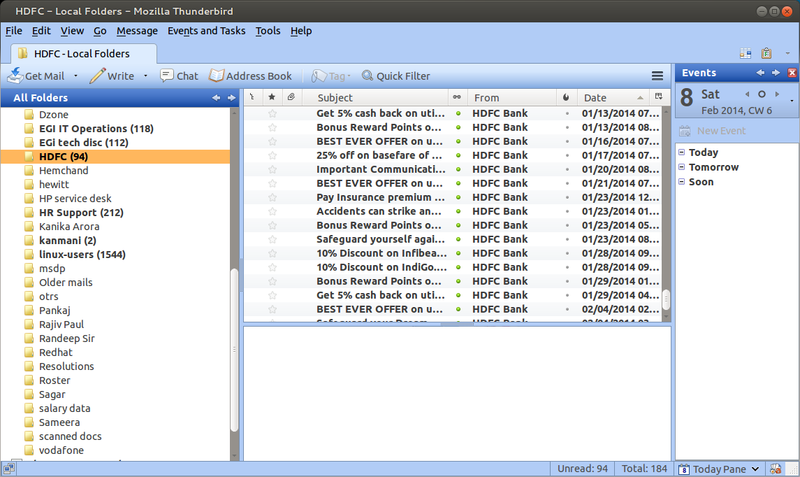 Thunderbird is a free application that is easy to setup and customize. It is loaded with tons of features, some features that even the top mail clients like outlook don't provide. 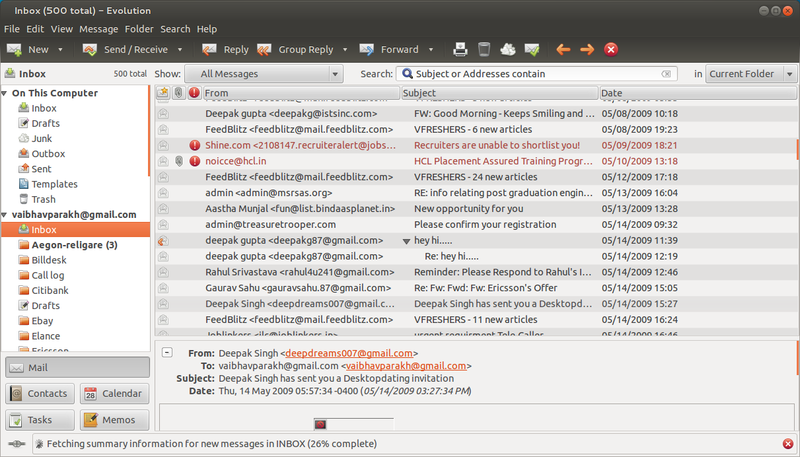 We have been using thunderbird for a user base of over 10k here in Ericsson on the Linux platform, Ubuntu. It gets better with each update and believe me, it works well in sync with the windows platform outlook email client. Being an open source application, it is customizable and there are tons of addons/plugins available which make it even more awesome. There are lots of forums where you can get support related to this open source application. 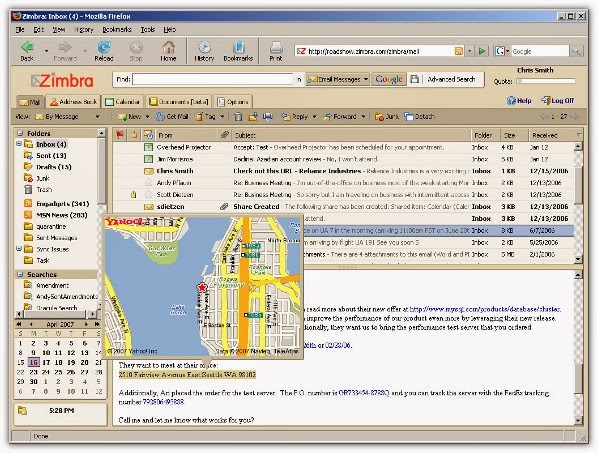 Zimbra Collaboration Suite is a groupware email server and web client, currently owned and developed by Zimbra, Inc. Zimbra was initially developed by Zimbra, Inc., and first released in 2005. Evolution (formerly Novell Evolution and Ximian Evolution, prior to Novell's 2003 acquisition of Ximian) is a personal information management application that provides integrated mail, calendaring and address book functionality. It has been an official part of GNOME since Evolution 2.0 was included with the GNOME 2.8 release in September 2004.It combines e-mail, address book, calendar, task list and note-taking features. Its user interface and functionality is similar to Microsoft Outlook. Evolution is free software licensed under the terms of the GNU General Public License. Claws Mail - Highly recommended for individual users due to lightweight usage and interface is designed to be familiar to new users coming from other popular email clients. These are the email clients i have used at some point or the other and have rated them accordingly. If you think, there are email clients that work better and should be in the list above, feel free to leave us a comment. Chekea y ademas navega por mi homepage Oo "trucos"